This picture started as a modelling excercise with Amapi. 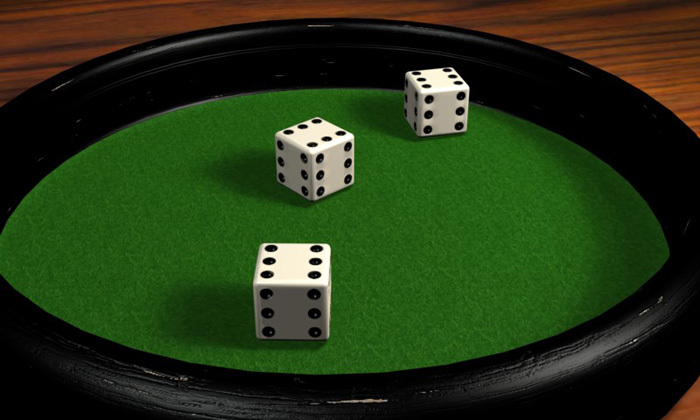 I wanted to model classic dice, but after a while decided to modify them a bit. It was part of a series of "impossible" objects, which was never completed.